Recently, the Morristown Police Department (MPD) K-9 unit received a donation of protective eyewear. Kim Dunn and Lisa Hudgens with Smoky Mountain K-9 Sports donated six pairs of Rex Specs to MPD K-9s. The goggles are designed to help protect the K-9s’ eyes. These will be utilized during training and in any hazardous working conditions. Currently, the MPD has six K-9s. Dunn and Hudgens’ donation gives each K-9 a pair of goggles for eye protection. 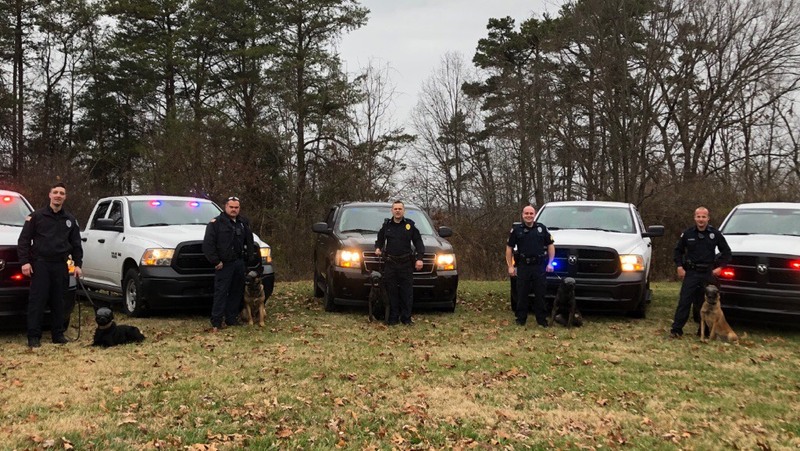 The MPD and K-9s are grateful for the compassion and generosity that the ladies at Smoky Mountain K-9 Sports have shown the Morristown Police Department.